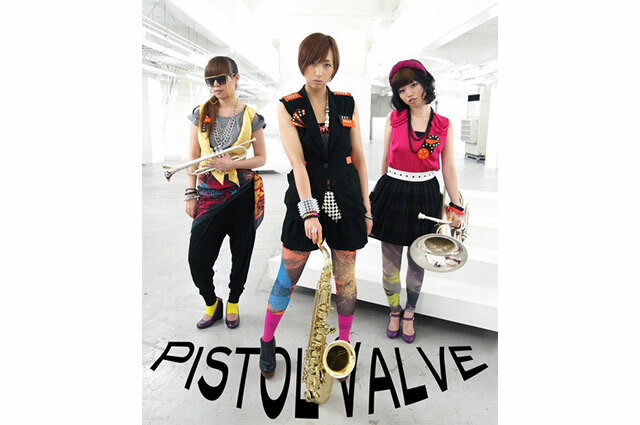 Pistol Valve was formed in Tokyo on October 2005 by 10 Japanese girls whose average age was 20. Although young, the members are all professionals at their respective position and create a unique sound that blends together Rock, pop and Ska. The band first gained attention when they were featured in FUJI-TV’s “The Best House 1-2-3”. Their appearance was an immediate impact and “Pistol Valve” was ranked 4 on Yahoo! Japan’s search word ranking the very next day. Since then Pistol Valve has been appearing in numerous television programs, steadily establishing themselves as a stable presence in Japanese mainstream media. Aside from that the girls were also renowned for the frequent street performances that they conducted around central Tokyo. In summer 2007 Pistol Valve announced their appearance in SUMMER SONIC ‘07, one of Japan’s largest summer music festival.